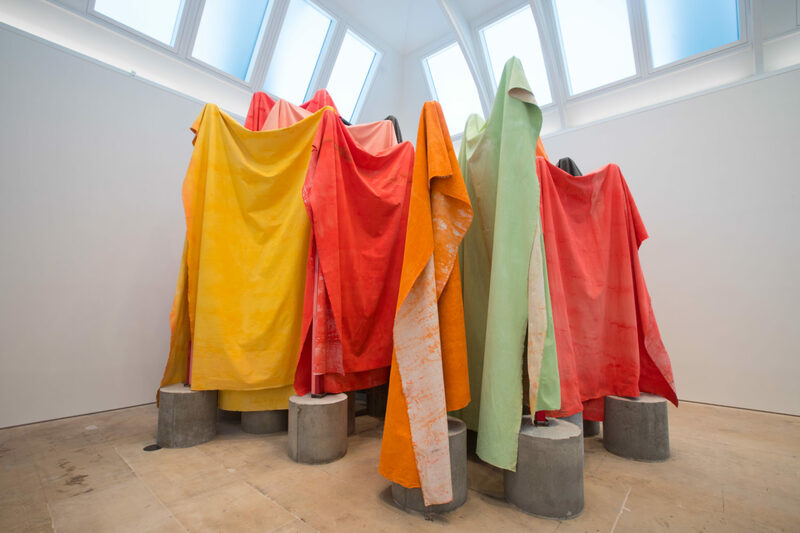 British artist and Royal Academician Phyllida Barlow has become a household name over the past decade. Her body of work is largely comprised of immense sculptural installations made from inexpensive, low-grade materials like cardboard, fabric and cement. The artist’s constructions often make use of vibrant colours, with the seams of construction left visible at times to show the means of creation. Often, her constructions appear to be menacing creations, resonating with a sense of emotional intensity and urgency. 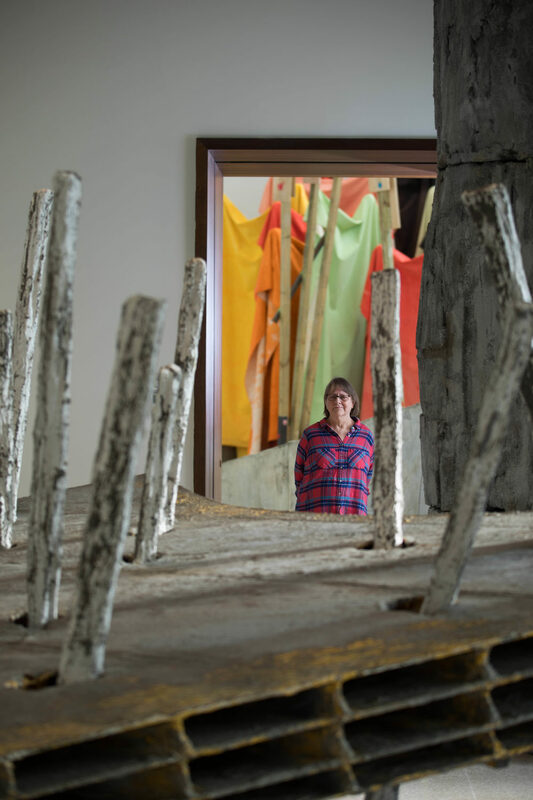 On Wednesday 10 April from 6:30 to 7:30pm, Phyllida Barlow will be in conversation with contemporary art critic Gilda Williams at the Royal Academy. 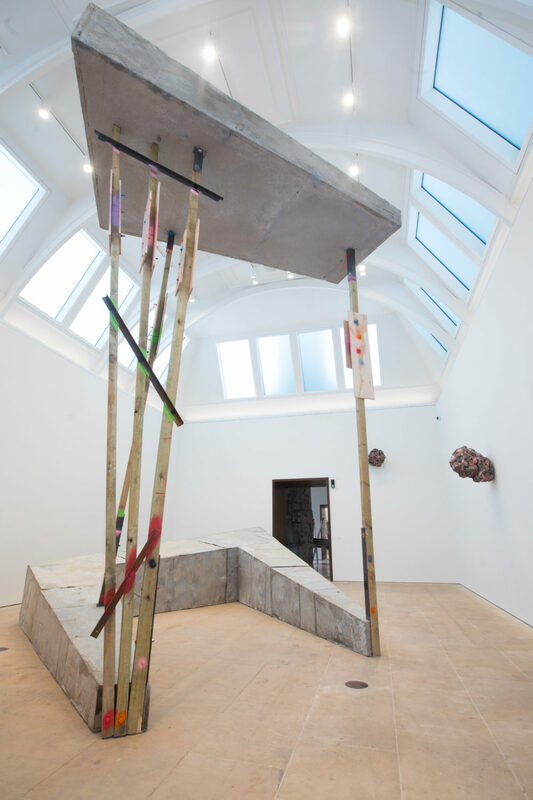 The artist will discuss her current exhibition, Phyllida Barlow RA: ‘cul-de-sac’ focusing on the location of the installation in the new Gabrielle Jungels-Winkler Galleries. The work in this exhibition is site-specific, giving visitors only one way in and one way out to encourage navigating between the works and revisiting each sculpture from the other side of the space. Sculptures exploring the full height of the gallery tower above visitors, true to Barlow’s signature style. Educated at both Chelsea College of Art and Slade School of Art (going on to become Professor of Fine Art and Director of Undergraduate Studies at the latter), Barlow’s expertise in the field is unique and extensive. The artist has put on solo exhibitions at a number of prominent institutions internationally, and is known for the Tate Britain Commission 2014 as well as for representing Britain in 2017 at the Venice Biennale.